1. 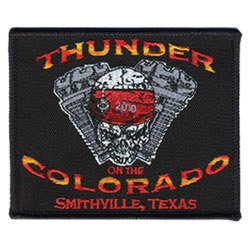 Embroidered patches can be ironed on or sewn on uniforms for identification and also suitable for promotions or souvenirs. 2. Copyrighted designs shown here are for reference only; no reproduction without proper authorization. 1. Size: 4" x 3.25". 3. Twill fabric with 50% embroidery. 5. Sew-on by no bakcing or iron-on by heat-sealed backing, or plastic backing, stick on backing, velcro. 6. Customer designs are welcome.